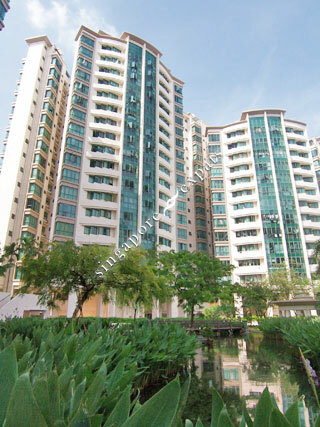 Palm Gardens is a 694-unit condominium located at Hong San Walk, off Choa Chu Kang Avenue 1 in the heartlands of Choa Chu Kang housing estate. Palm Gardens is within close proximity to amenities, food and shopping including Food Junction, Food Culture, Delifrance, NTUC Fairprice, Cheers, Keat Hong Shopping Centre and Lot 1 Shoppers Mall. Educational institutions like South View Primary School, Choa Chu Kang Primary School and ITE College West are located near to Palm Gardens too. Palm Gardens is accessible via the nearby Kranji Expressway (KJE) and Bukit Timah Expressway (BKE). It is also minutes from the Keat Hong LRT Station and Choa Chu Kang MRT Station. Nice living environment where compound of the condo is spacious and comfortable. A good choice for home-sweet-home.